What Are Energy Performance Certificates and Who Needs Them? In line with other European countries, Spain has introduced a law obliging property owners to get energy efficiency certificates (EPC) before they can sell or rent their homes. According to the Real Decreto 235-2013 this certificate (Certificado de Eficiencia Energética (CEE)) is mandatory for signing the sale or rental agreement. Sellers must give the original of the energy efficiency certificate to purchasers/ legal representatives; in case of rent or lease, a photocopy of the current energy performance certificate must be attached to the rental/ leasing agreement. Owners request the energy certificate, a registered energy assessor / technician visits property and take pictures, measurements and recordings from things such as air conditioning and hot water systems, type of windows fitted, insulation, construction etc. The cost of work depends on the size of property (around 1 euro per m2). The readings taken will then be entered on line into one of the Governments approved programmes which will generate the rating for the property giving its energy efficiency and environmental impact. It must be registered with the Autonomous Administration, and then owners can proceed with the public deed of sale or rent. Identification of the building being certified. Description of tests, checks, and inspections being carried out by the technician while providing the certification. Description of the energy characteristics of the building, facilities, normal operating conditions and occupation, thermal comfort, lighting, indoor air quality, and other data used to derive the energy efficiency rating of the building. The energy and carbon emission efficiency rating of the existing building expressed by the energy label graded from A (most energy efficient) to G (lower efficiency). Recommendations to enable owners to understand which improvements will increase the energy rating. 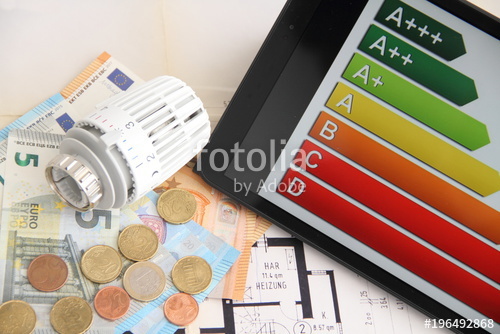 The evaluation of the recommendations cost effectiveness based on a number of standard criteria, such as the assessment of energy savings, current energy prices, and a preliminary cost estimate. Once the original EPC is obtained, the certificate and its corresponding energy efficiency label are valid for 10 years; after this period it is the responsibility of property owners to revalidate the EPC. Owners obtain a new certificate before if they renovate or change the property in any way. In case of non-existence of the document, owners can face a penalty (300 to 6.000 euros) and the sale or lease transaction can be completely annulled due to violation of consumer rights.